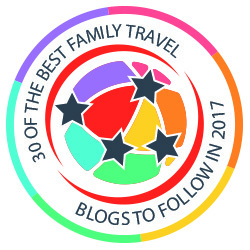 We’re really delighted that another member of the family is writing on Family Travel Times today. This time it’s my nephew, Daniel, who’s 12, and who is a big Dr Who fan…. “The Doctor Who Festival took place at London Excel. It was a three day celebration of all things Doctor Who including a chance to “Meet the Cast” and interact with monsters, special effects and try out costumes. We were lucky enough to visit the the event on the second day where special guests included Peter Capaldi (The Doctor), Jenna Coleman (Clara) Michelle Gomez (Missy) and Ingrid Oliver (Osgood). The event had started a day earlier when Peter Capaldi himself opened the doors at Excel. One of my favourite parts of the day was having the opportunity to go behind the scenes of Doctor Who and see the actual set used in Series 9, where Davros confronted the Doctor. We also really enjoyed being able to try on masks and costumes. Examples included the “Mire” from the current series and wearing the mask which the Sycorax wore in an earlier series. The team from Millennium FX were there to help explain how the costumes were made. Also, there were demonstrations showing us how fake snow was made and we then saw “snow” machines make it snow indoors (this is how it is made to seem as though it is snowing during filming). We had great fun shooting Daleks in the snow. We were also able to see the TARDIS. Another room had loads of costumes worn by different actors in the TV show as well as props like the inside of a Dalek and the Osgood boxes from the current series. As part of the festival there were 3 different live theatre shows. We saw the first 2 of these shows. Meet the Cast – here the audience was invited to quiz their favourite actors. The panel included all the main characters, as well as chief writer Steven Moffat. They were all extremely funny. Michelle Gomez said that Peter Capaldi was one of the best actors to play the doctor across the 50 years it has been on TV and wouldn’t hear of a female Doctor. Capaldi himself suggested that toy manufacturers would be hoping for the return of the sonic screwdriver as this always made great Christmas gifts! Meet the Writers – Steven Moffat and Mark Gatiss were also on part of the third show (which we didn’t see) where they talked about being writers on the show. On the Sunday, the first ever live audience recording of “Doctor Who: The Fan Show” took place with celebrity fans such as Carrie Hope Fletcher taking part to discuss and review the previous days TV episode. There was a chance to have photos with some cast members and these had very long queues! Disclosure: Daniel, his dad and Robert were given complimentary entry to the Dr Who Festival in order to write about it for the blog. Family Tickets for two adults and two children are £42.75 each. The festival has just travelled to Sydney, where Australian fans got to see it last weekend. Read about Finn’s visit to the Dr Who Experience in Cardiff. Wow that seems great and also an excellent article! It seems like it would have been nice to be there! Absolutely loved reading your blog! You’ve really inspired us to write blogs of our own! Great blog for Doctor Who fans! I’ve never watched an episode haha but this still looks cool! I so wanted to go to this! We are all huge Doctor Who fans and have been to the Cardiff exhibition twice. When I a child I used to go with my older brother to conventions sometimes to meet the actors. I think it is similar in some ways to the Cardiff one but this one is bigger I think and if the Cardiff one was like the London one a few years ago, this one didn’t have a TARDIS you could go inside of. What a great exhibition for Dr Who fans. The kids look like they had a wonderful time. Sounds like you had an amazing time. It is such a great event for a Dr Who fan! We went too and had the most amazing time – a great day out for fans! My son has just started really getting into Dr Who. He’s only just turned 6 so he might be a little young for a whole day of excitement like this, but we’ll look out for it in the future. It sounds like great value. Thanks Daniel for sharing! There are a few more – I think the boys had such a great time. But I didn’t know how many pictures people would want to see!! We’re not especially Dr Who fans but what an awesome day out for those that are. Looks like lots of fun!